We have been in business for over 8 years. 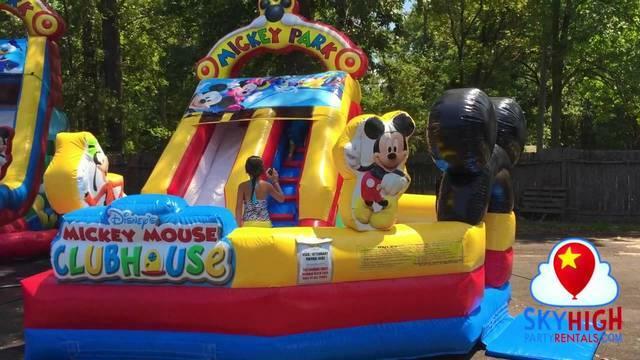 We are certain that with our experience and large selection of inflatables, we will help make your next event a success! Let us bring the fun to you! We have something for all ages. From the Mechanical Bull to our Obstacle Courses and from Waterslides to Combos. Having a Birthday Theme? We carry many of the popular themes with or without a slide! We currently service Hanford, Lemoore, Visalia and all surrounding areas. A travel fee may apply depending on your location. We also service most of Fresno County although a delivery fee and minimum order is required.